No matter how discontented one is of the present, the truth is running a successful business, now or then, has always been a challenge. Despite ensuring the quality of the services and products to be high, businesses also strive to stand out from their competitors. And why not? If being distinctive in some way helps to gain the upper hand, one should not shy away from exploiting it. On-grid PV Solar Solutions, if utilized well, can reap tremendous benefits for businesses. If we ask, what is the first thing that comes to your mind when you see solar panels on a rooftop or ground-mounted racking? I am sure most of you would speak highly of the asset owner for taking an environment friendly step. A responsible step with forward thinking, in addition to being appreciated, is also emulated. This is how an eco-friendly gesture inspires others to become more and more conscious ultimately transforming the earth into a cleaner and greener planet. Talk about the benefits availed by a business, and the first thing that comes to everyone’s mind is cost. Something that offers quality and is cost-effective at the same time is, to a business, like a mouthwatering delicacy to a gourmet! With on-grid PV solar, you can save a lot on electricity bills. Since the price of power would be fixed for 25 years, one can save oneself from the surging of utility bills with time. If your rooftop or ground-mounted solar is on-grid, and if you are producing excess power than what is required, you can opt for net metering and get compensated. If your business is heavily dependent upon higher supply of power, going solar with on-grid solutions is a better option. 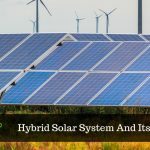 By investing into a grid-tied solar system, your business can avail accelerated depreciation benefits which would help reduce your tax liability. Sometimes, going solar seems daunting at the speculative thought of higher price of equipment and gadgetry involved. Truth, not speculation, is real. Solar energy has achieved grid-parity with cost per unit being much lower than coal or thermal power. The cost of panels and inverters have come down. Add several financial schemes to it, and you will realize that finances are the last thing to keep you away from solar. 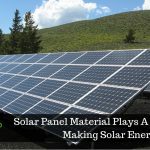 On-grid rooftop solar solution and ground-mounted solar systems have found acceptance everywhere, and people from all walks of life can benefit from it. 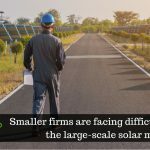 Businesses, especially small to medium-sized are more likely to find tremendous value in going solar with on-grid solutions.